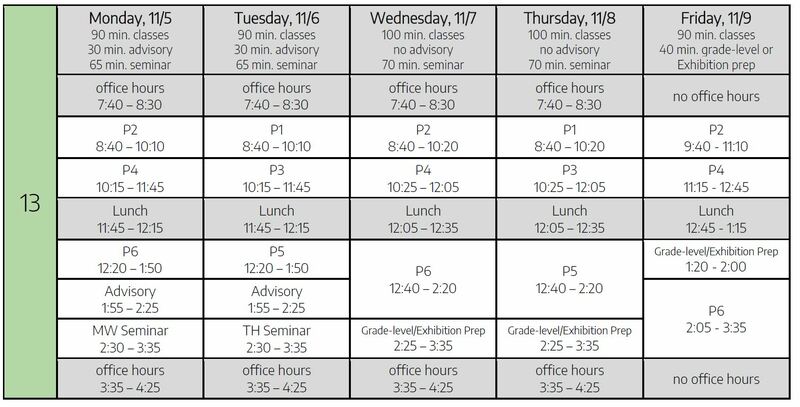 I hope you all have a happy and restful Thanksgiving break and have the opportunity to spend quality time with family and friends! We are proud of the work our students have done this semester, and thankful for the support they have received from their families. 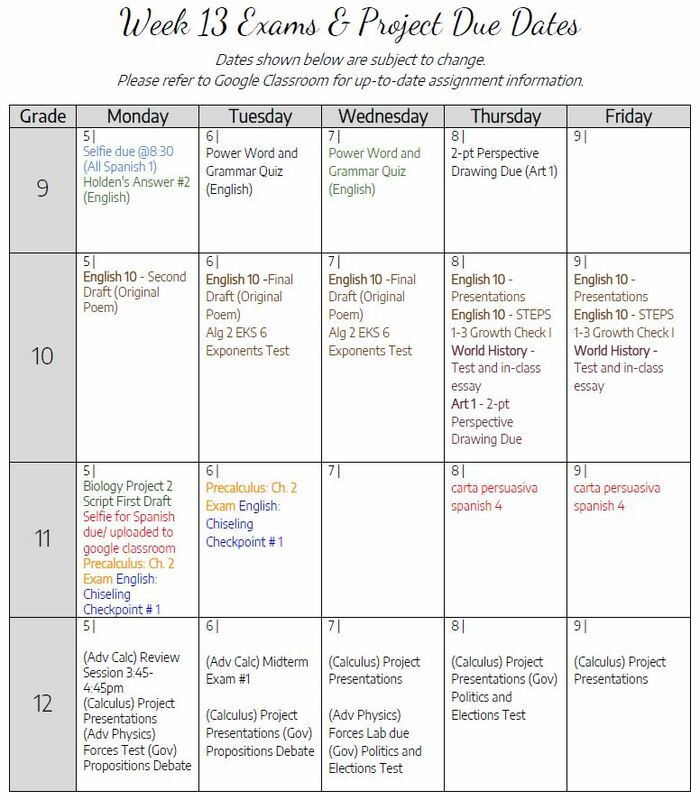 Here are the schedules and due dates for the week we come back… just 3 more weeks until Presentations of Learning! DVS Exhibition Night is Tonight from 6-8pm! 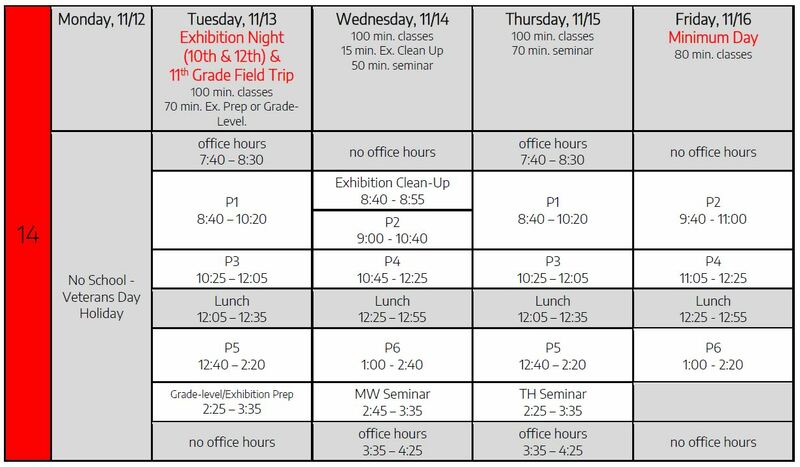 Tonight is our Exhibition Night from 6:00-8:00pm – we hope to see lots of DVS parents here to support our students and see what they have been learning this semester! 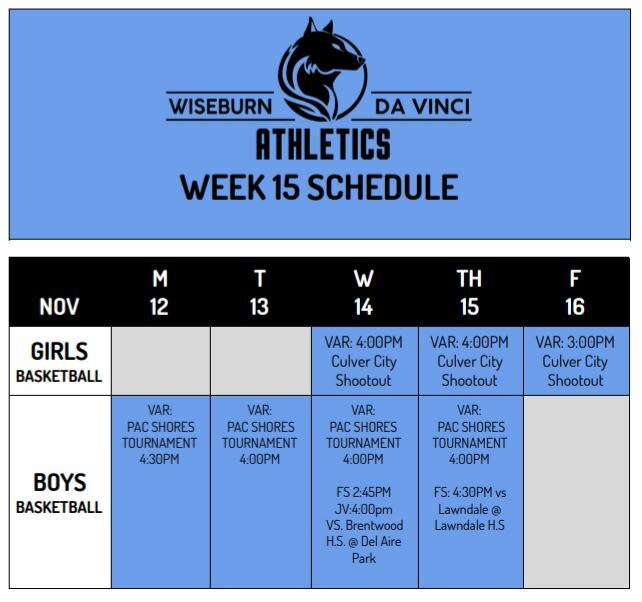 Here is the schedule for next week! 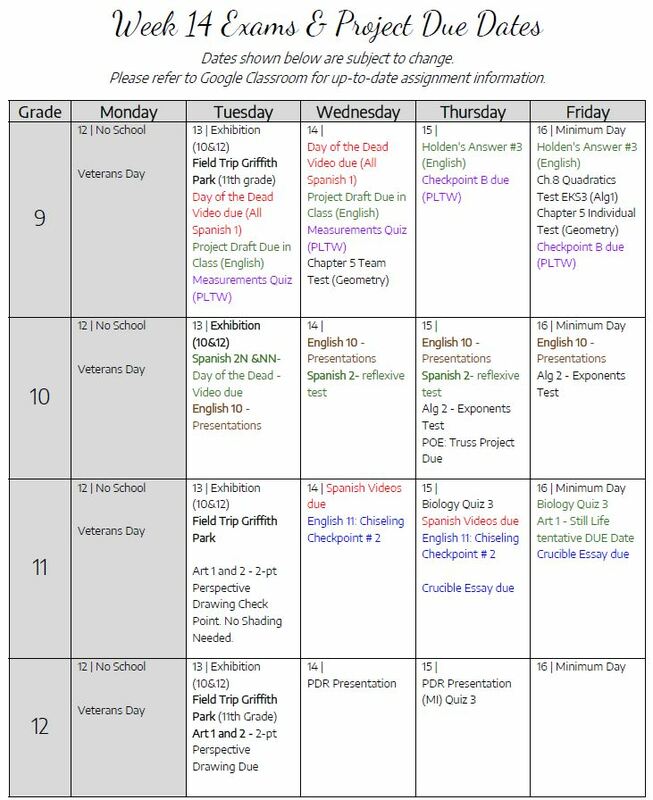 Have a terrific 3-day weekend! 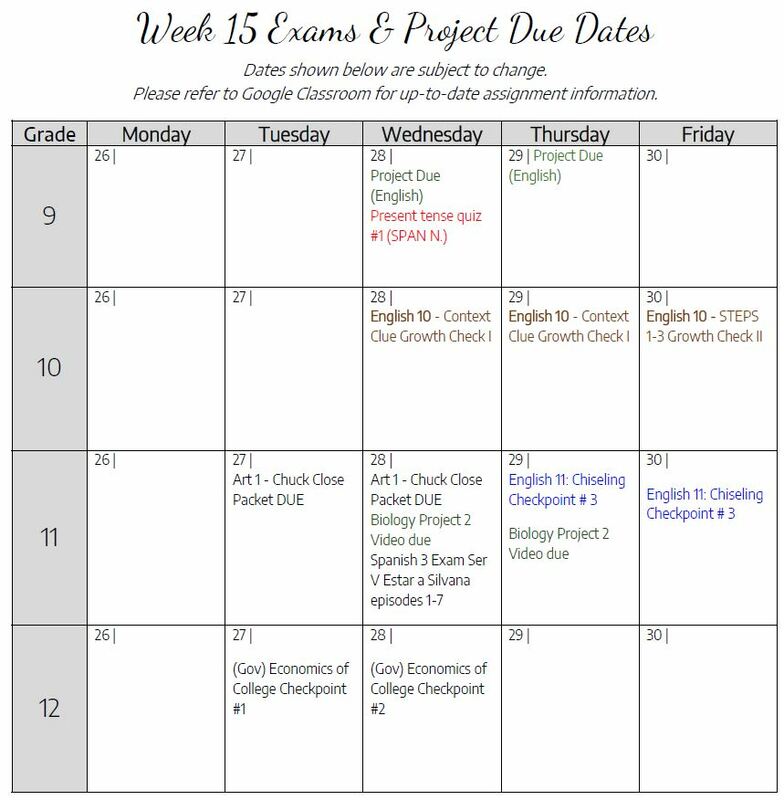 Here is next week’s schedule and due date information!